This colour from O.P.I. 's Muppets collection (as well as the collection as a whole), got really bad reviews. The majority of buzz I've heard about this colour was negative. 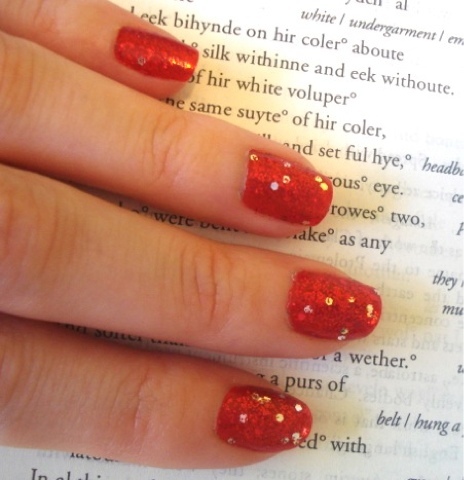 I can understand why some people wouldn't like it, as on its own the polish is not that flattering. 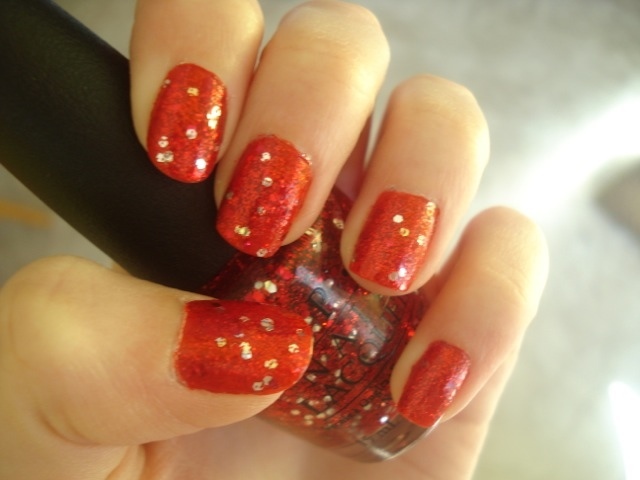 However, when done on top of another colour, this polish is one of my favorites! 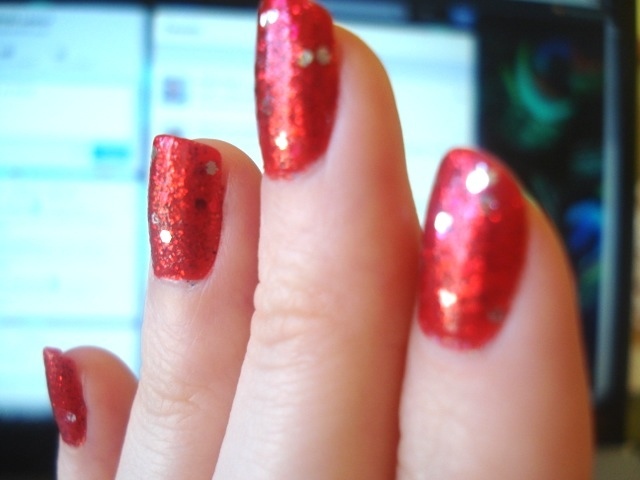 Here, I've paired it with Essie's "Fifth Avenue", a super bright red. To get this look, I did a base coat, one coat of "Fifth Avenue", two coats of Miss Piggy on top of that, and then a final top coat. I love this because it is truly a unique look! I have gotten more compliments while wearing this than any other style! And not just by friends, but I've had random people stop me in stores to tell me that they loved my nails! 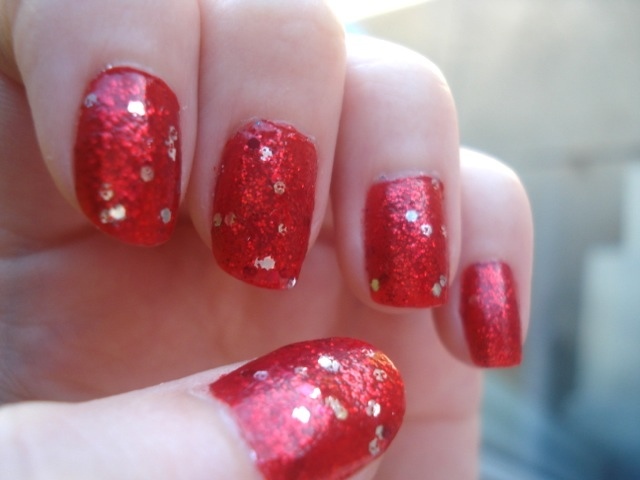 I call this look my Ruby Slipper Nails. They're so pretty, and I really feel like it is "Gettin' Miss Piggy With It" done right!